iPhone 4 will apparently receive another unlock from ApplenBerry’s Gevey SIM interposer, and this time will be for latest baseband found in iOS 5.0.1, baseband 04.11.08. The smartphone repair shop today posted two updated on its Facebook fanpage informing that the they are in “testing stage.” ApplenBerry, however, stated that they won’t promise anything for now to not get flame; hackers like pod2g always get flame when they provide information or release date for their jailbreaks and things go wrong — probably that’s why ApplenBerry doesn’t want to give information. I thought I made it clear, but I guess there are some miscommunications. Good news, we are in the testing stage. Bad news, I don’t want to promise anyone and get flame. It is very difficult to not offend anyone. Not long before they posted that, a status was also posted by them asking for reviewers to review a new Gevey Sim. review@applenberry.com with your website and company email contact info. 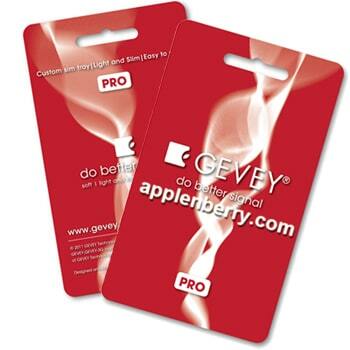 It is still known whether the new Gevey SIM will be released before Apple release iOS 5.1 or after Apple release iOS 5.1. Releasing the new Gevey SIM before Apple relases iOS 5.1 may give Apple times to stop the new Gevey SIM from working in iOS 5.1. A similar tool called TPSIM will be soon released for iPhone 4S owners on iOS 5 and iOS 5.0.1 to unlock baseband 1.0.11, 1.0.13,1.0.14.